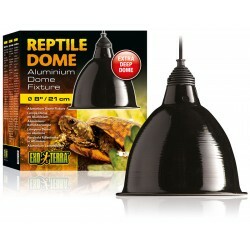 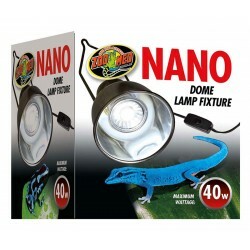 Buy Wholesale Reptile Hoods, Domes & Fixtures For Sale at Bulk Prices! 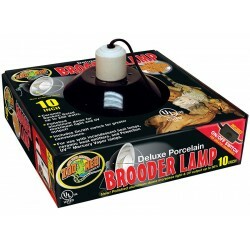 Zoo Med's Brooder Lamp fixture is made of heavy gauge painted aluminum and have a ceramic socket. 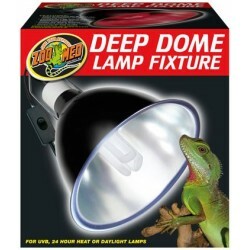 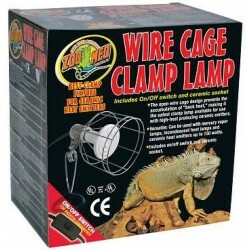 Size: 10"
Zoo Med's Clamp Lamp fixture is made of heavy gauge painted aluminum and have a ceramic socket. 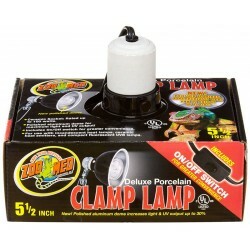 Size: 5 1/2"
Zoo Med's Clamp Lamp fixture is made of heavy gauge painted aluminum and have a ceramic socket. 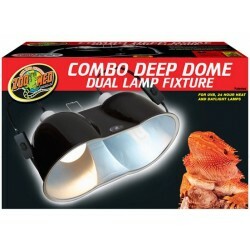 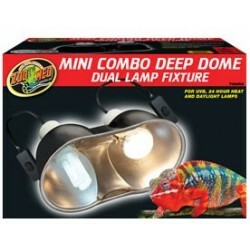 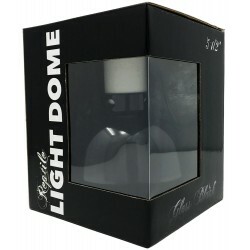 Size: 8 1/2"
Two fixtures in one for maximum convenience! 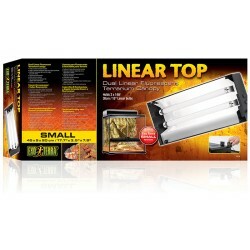 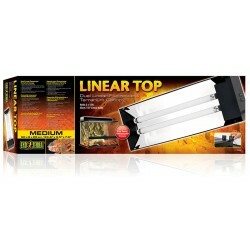 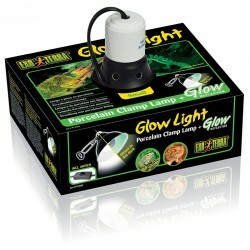 The dual fixture allows for one Basking Spot Lamp or 160w PowerSun UV Lamp and one Nocturnal Infrared Heat Lamp. 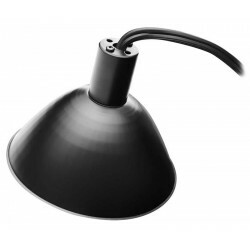 The Deep Dome Lamp Fixture features an extra long reflector dome that extends beyond the face of the lamp, preventing the lamp from sticking out. 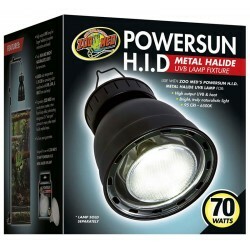 It is perfect for use with Zoo Med's PowerSun UV lamps and ReptiSun UVB Compact Fluorescent Lamps. 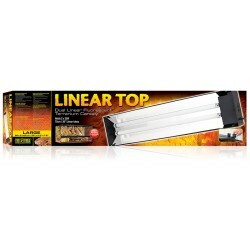 The perfect, all-in-one solution for controlling heat lamps and ceramic heat emitters. 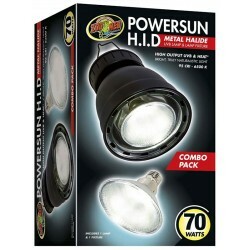 Inline dimmer switch allows you to adjust from off to full power and anything in between. 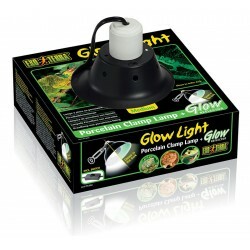 Heavy duty ceramic fixtures can handle up to 150 watts. 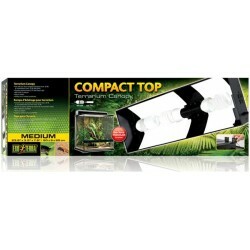 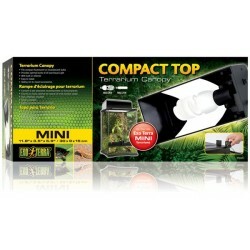 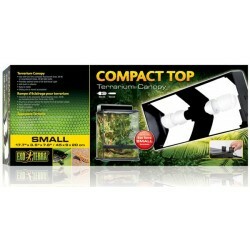 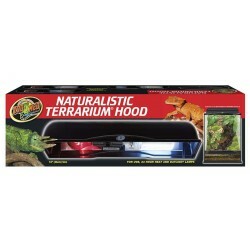 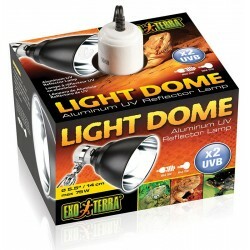 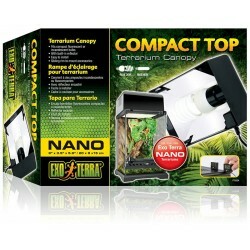 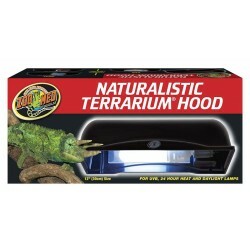 Size: 8 1/2"
The Naturalistic Terrarium Hood includes a built-in reflector and socket for heat or UVB lamps. 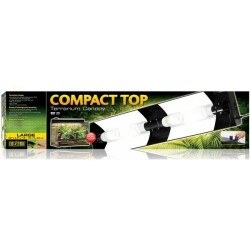 Size: 18"
High Output T5's are a great option for larger and taller enclosures as they provide UVB penetration at greater distances. * Includes FREE ReptiSun T5 HO 5.0 UVB Lamp * Size: 14"
High Output T5's are a great option for larger and taller enclosures as they provide UVB penetration at greater distances. 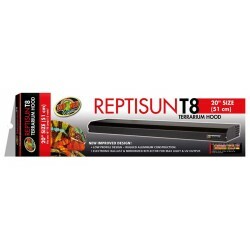 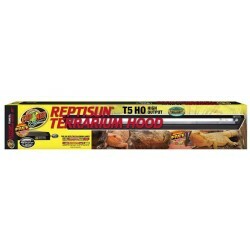 * Includes FREE ReptiSun T5 HO 5.0 UVB Lamp * Size: 24"
High Output T5's are a great option for larger and taller enclosures as they provide UVB penetration at greater distances. 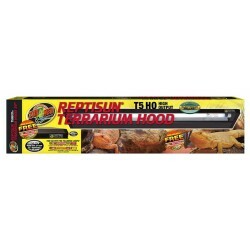 * Includes FREE ReptiSun T5 HO 5.0 UVB Lamp * Size: 30"
High Output T5's are a great option for larger and taller enclosures as they provide UVB penetration at greater distances. 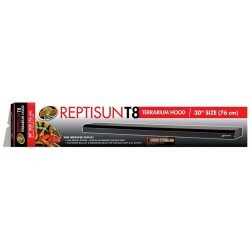 * Includes FREE ReptiSun T5 HO 5.0 UVB Lamp * Size: 36"
High Output T5's are a great option for larger and taller enclosures as they provide UVB penetration at greater distances. 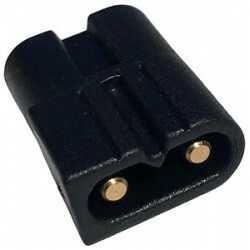 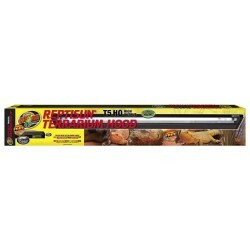 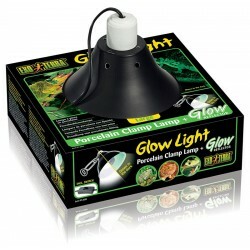 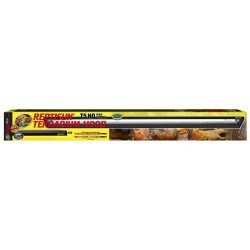 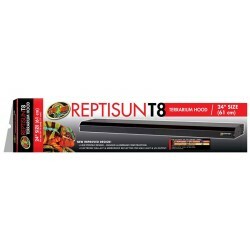 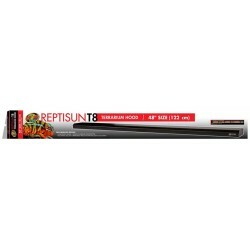 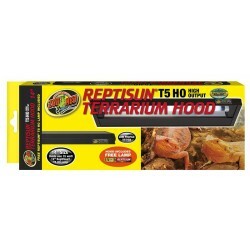 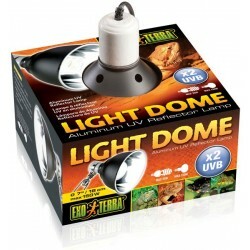 * Includes FREE ReptiSun T5 HO 5.0 UVB Lamp * Size: 48"
These cables allow you to link Lugarti Light Reflectors together. 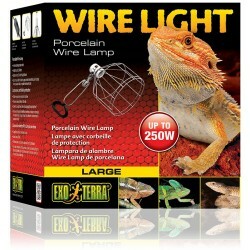 Link up to 8 Reflectors on a single outlet! 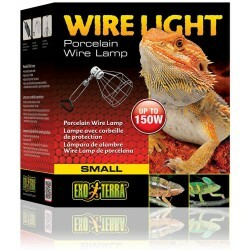 Size: 12"
These cables allow you to link our Light Reflectors together. 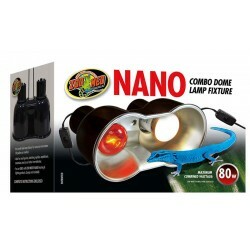 Link up to 8 Reflectors on a single outlet! 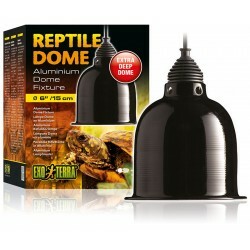 Size: 30"
The Exo Terra Terrarium Fixture directs light and heat downwards to create the perfect basking spot for your reptiles. 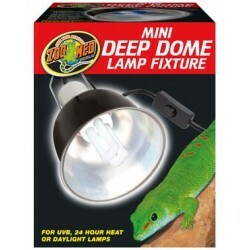 The adjustable bracket allows you to swivel the fixture from left to right and it can be moved up or down to adjust the distance between the basking spot bulb and your pet reptile in order to regulate the temperature of the basking area. 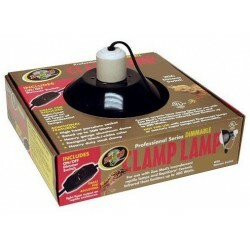 This ceramic base Clamp Lamp fixture is ideal for use with all types of incandescent lamps or Ceramic Heat Emitters. 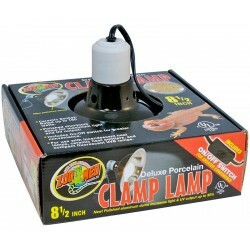 This Clamp Lamp fixture has a heat-resistant porcelain socket that handles up to 150 watts. 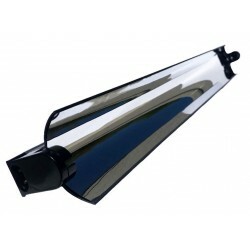 The wire guard is safer than an aluminum reflector because it prevents unnecessary heat build up and possible hand burns.